Noblesse oblige: under this motto, the ninth issue of the Bike Lovers Contest gathered the classiest custom bikes from Switzerland and Germany for the competition of emotions. A line-up of the finest only: from polished stainless-steel cycles to a kid's balance bike made from titanium and carbon, from from a luxuriously excentric electro-commuter with double brakes and twin lighting to a fat E-cruiser made from riveted profiles that was inspired by a Berlin train bridge. Thirteen noble horses wanted to win over the hearts of the expert jury and the audience. Just showing off expensive components didn't get them very far though. The Awards went to those creations where the interpretation of “classy” was made with creativity and passion. Befitting their rank, these Pearls of handcrafted frame building were shimmering in the spotlights of a stage. At the Schiffbau Box of the Schauspielhaus Zürich, the creations were exhibited during the Urban Bike Festival from April 7-9. 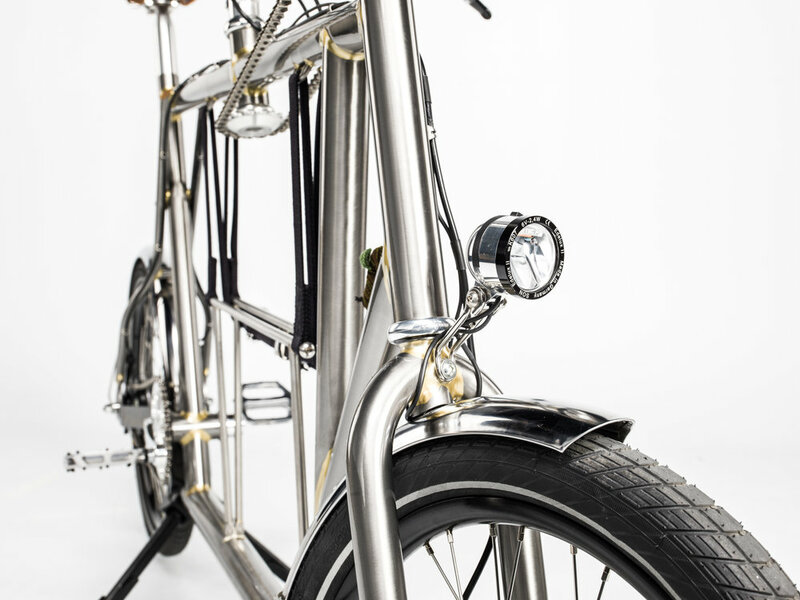 The Gold-Bike, "KleinLaster", is currently shown at the exhibition „BIKE | DESIGN | CITY“ of the Gewerbemuseum Winterthur. The jury agreed that Nele Dittmar's and Josef Vogeltanz' "KleinLaster" ("Small Truck") interpreted the topic with outstanding creativity and dedication. Dittmar makes a cargo bike look elegant and nimble. Custom made for her own needs, the prototype is full of beautiful details and smart solutions like the retractable cargo assembly. The level of craftsmanship - the bike is built by Vogeltanz - and the extraordinary esthetics are complimented by the fantastic handling performance, which is not surprising, given Dittmar is an avid bike polo player. A truly deserved first prize! 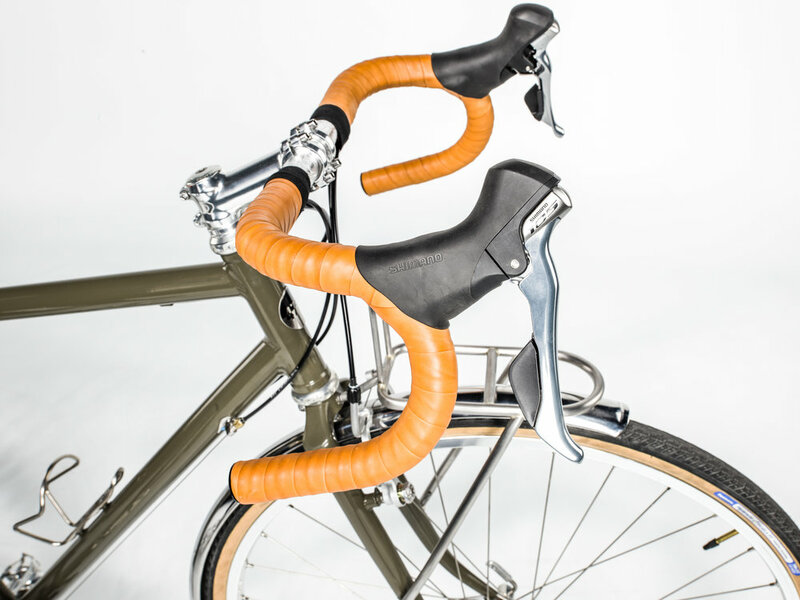 Daniel Pleikies, 2014’s winner, creates with „Wanderlust“ a travel bike all of a piece. 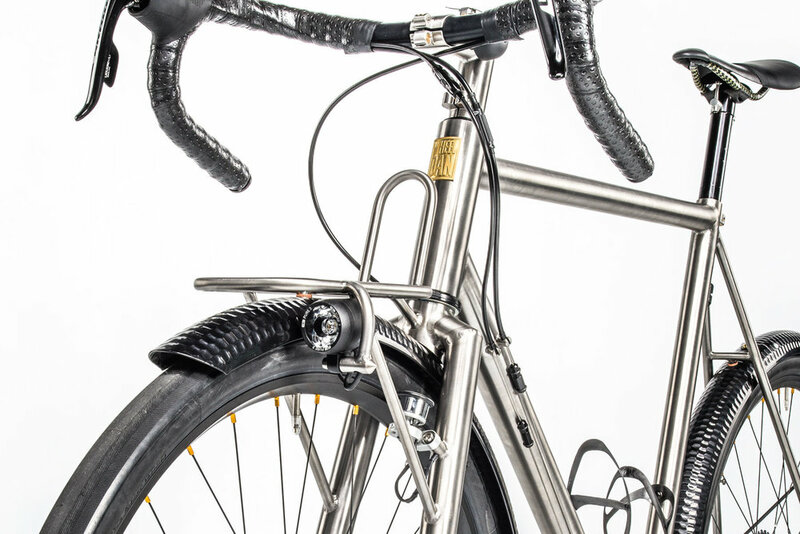 Through the precise focus on bike touring, consistent use of titanium for frame, fork, stem and front rack, „wheeldan“ composes an elegant entity, perfectly geared towards its function. Sometimes, the ideas are so subtly crafted that they almost disappear. For example, the integrated bell or the separable fender are all but apparent. Still, the bike shines with his presence and elegance, despite all the reduction. The weight of merely 8.5kg, ready for adventure including dynamo-powered lights and fenders sure is an outstanding value. With his gentleman-randonneur „Hrimfaxi“, Patrik Widmer celebrates understatement. The wonderfully fillet brazed steel frame combines the qualities of a road bike with those of a touring bike: fast, light und fit for a bit of cargo – true qualities of a classical randonneur frame. Patrik of 47° Nord skilfully transfers the concept to modern times. 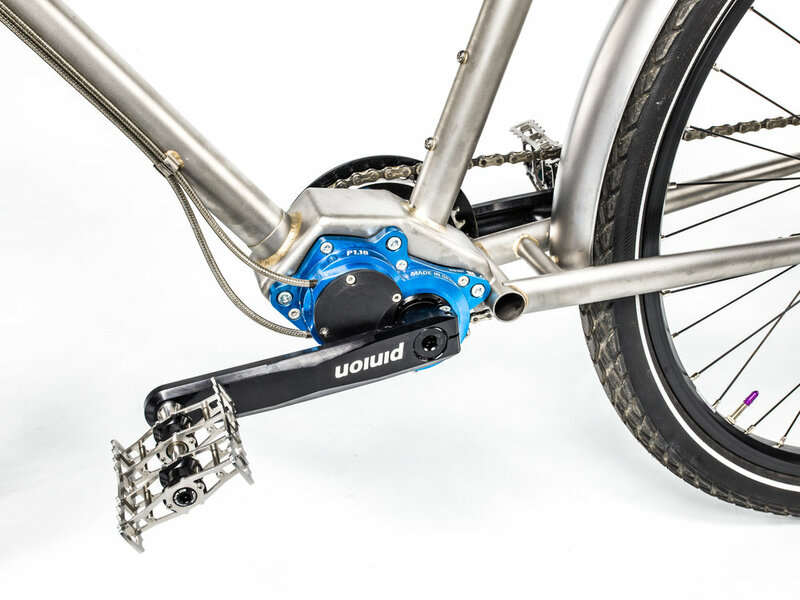 Functionally outstanding components complement frame and fork. The selection of parts is subtle; no element sticks out of the compound. By avoiding gimmickry, he creates classical beauty. „Schack“, the public prize winner, is a cooperation between friends: initiated by Jacques Gengler, Emmanuel Viala, Javed Hasseli and Martin Schlimbach of Teamwerk 46 joined to help realizing the project. The basis is Arnsburgian oak from the vicinity of the joinery. The wood was cut to strips and then glued to a massive block, using only white glue. In classical model builder style, the shape was carved from the block by hand as a left and a right half. 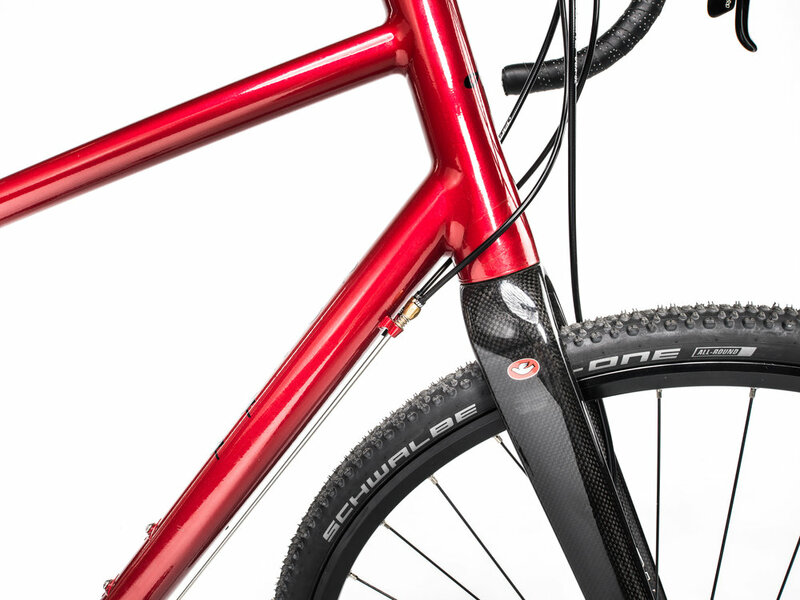 The pieces were hollowed and bonded together, with aluminium inserts for steerer and seat post, resulting in a compound that weighs only 2.4kg. The frame has been ridden by one of the Schleck brothers, who was surprised by the stiffness of that sustainable piece of work. The bike is used daily and has already 3500 km on the clock.